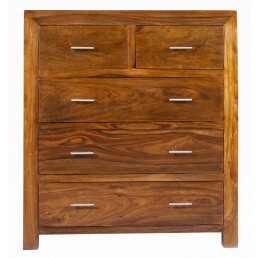 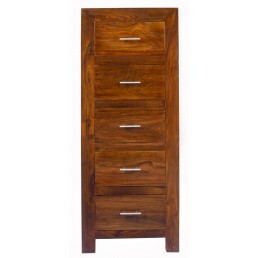 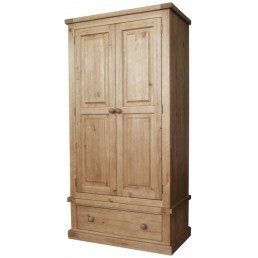 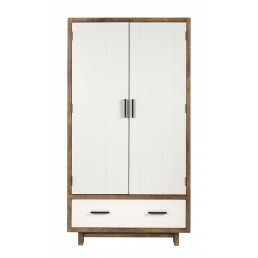 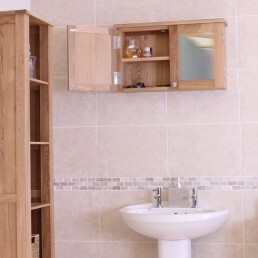 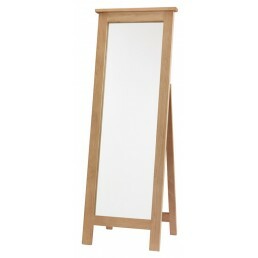 Bedroom furniture from all our collections. 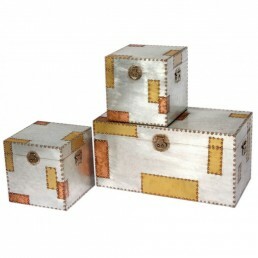 This industrial chic, vintage style trunks of 3 set is in dull silver with warm highlighted squar.. 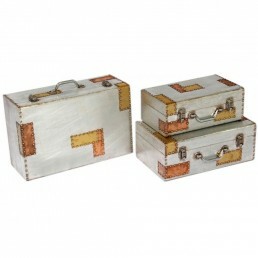 This industrial chic, vintage style set of 3 storage trunks/cases is in dull silver with warm hig.. 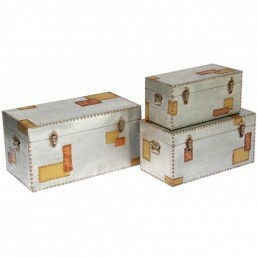 This industrial chic, vintage style lovely trunks set of 3 storage is in dull silver with warm hi.. 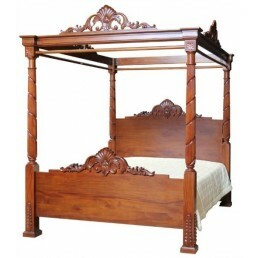 This traditional antique reproduction style four poster canopy bed is hand-built from selected so.. 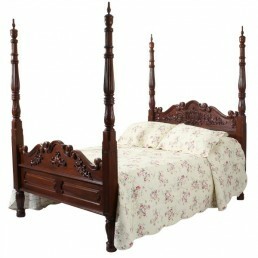 This traditional antique reproduction style Antoinette French caned bed is hand-built from select..
Geometric Screen-printed Door Bedside. 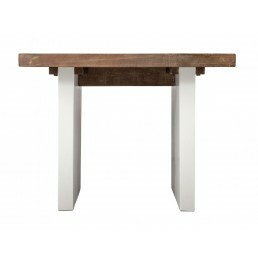 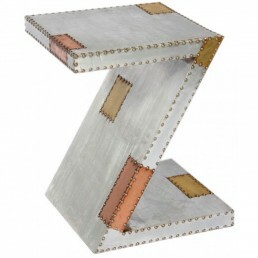 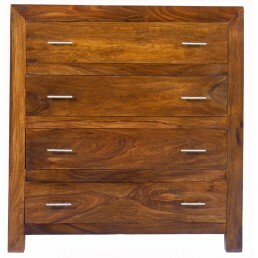 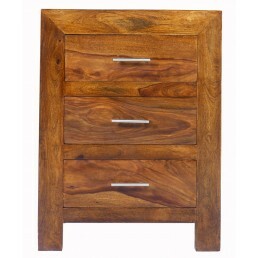 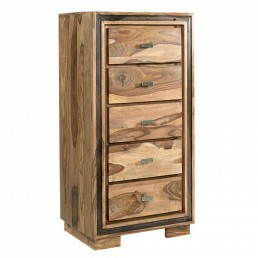 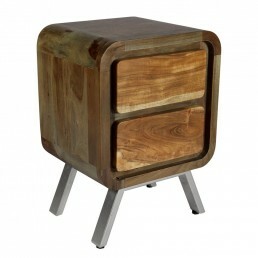 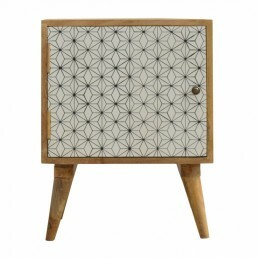 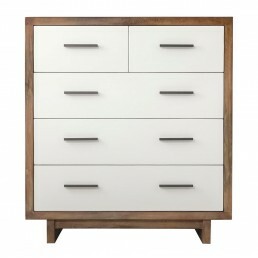 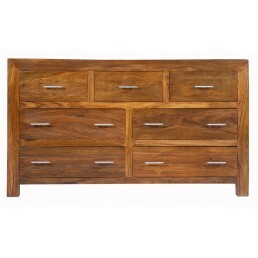 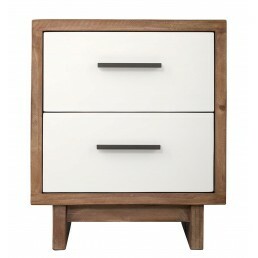 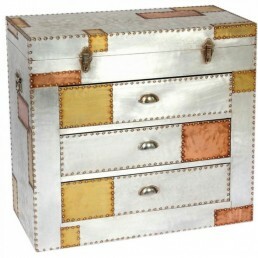 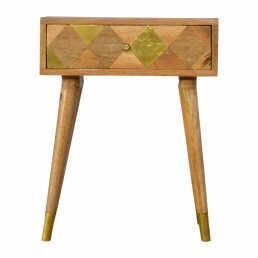 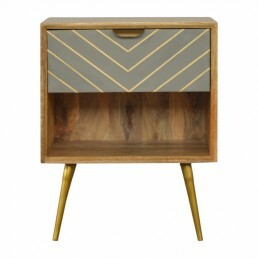 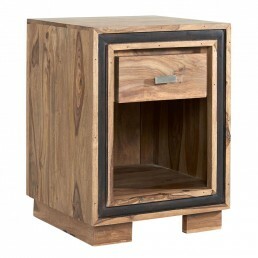 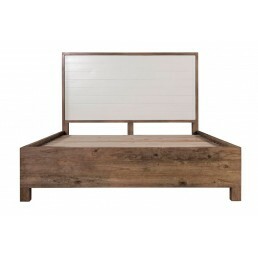 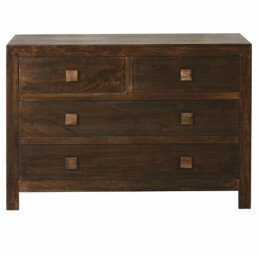 This bedside has been constructed from 100% solid mang..
1 Drawer Nordic Style Sleek Cement Bedside with Brass Inlay. 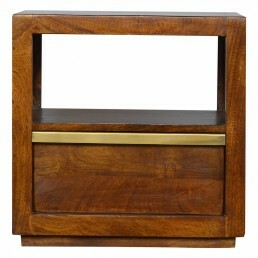 This bedside has been inspired b..
Endlessly versatile, this bedside table has a beautiful golden brass insert on the drawer front w..
Add this bedside table to your bedroom, featuring a clean cut design with an open slot and 1 pull.. 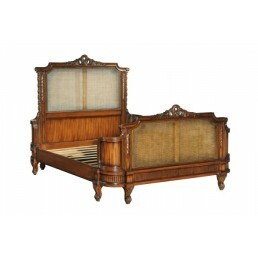 The Cavendish 2 seat futon sofabed is made in the UK and is a classical style sofabed and crafted..
With both stylish design and expert craftsmanship, this beautiful mirrored bedside cabinet compli..
With both stylish design and expert craftsmanship, this mirrored bedside chest compliments both m..
With both stylish design and expert craftsmanship, this mirrored bedside cabinet compliments both.. 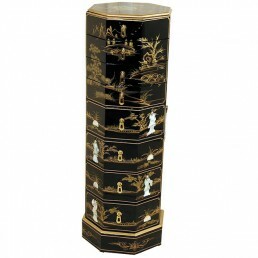 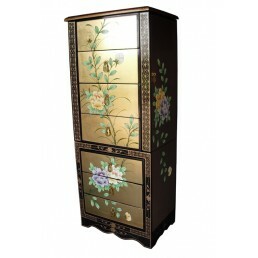 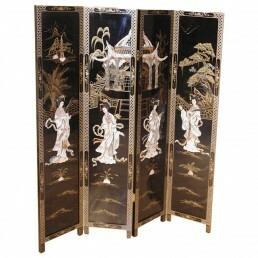 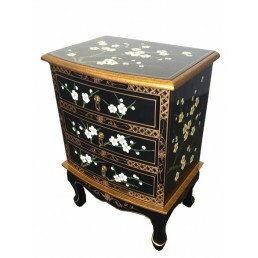 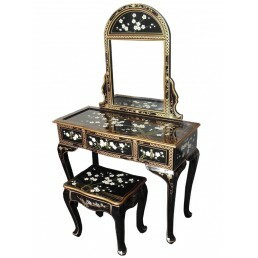 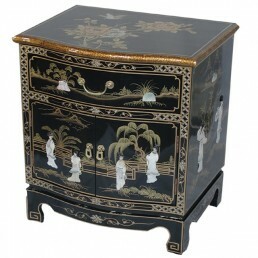 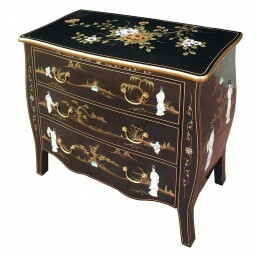 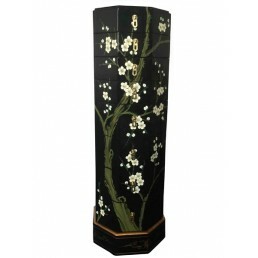 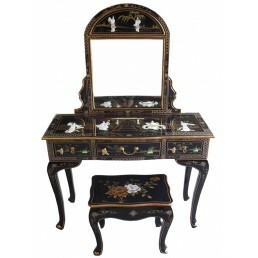 Traditional Chinese black lacquer dressing table set with stool, mirror and table with three draw..
Chinese black lacquer mother of pearl pedestal chest carefully hand painted with cherry blossom f..
Chinese black lacquer dressing table set with mirror, stool and table with three drawers. 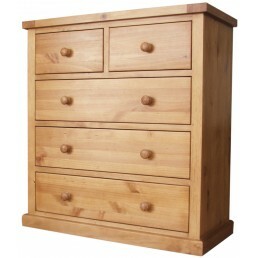 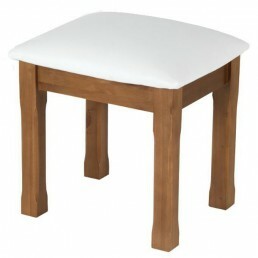 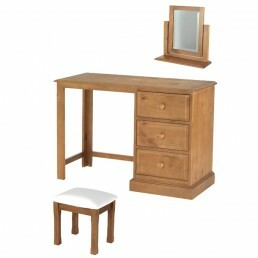 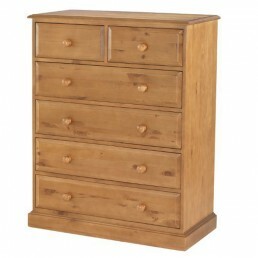 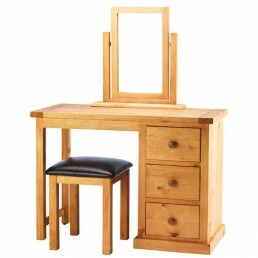 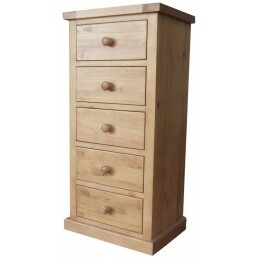 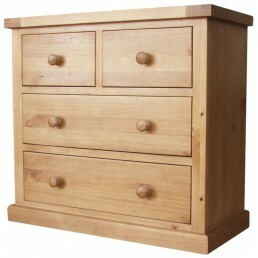 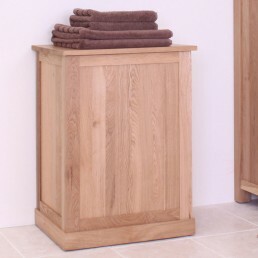 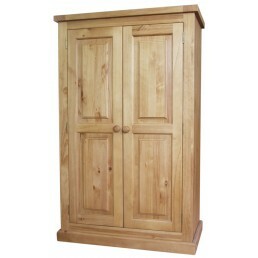 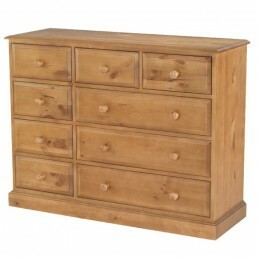 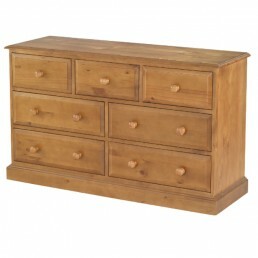 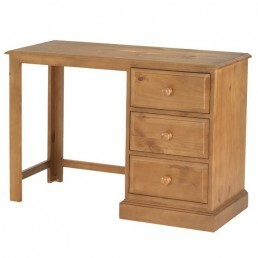 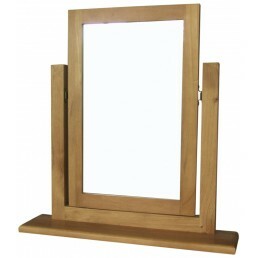 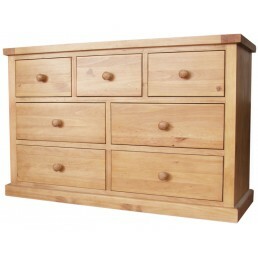 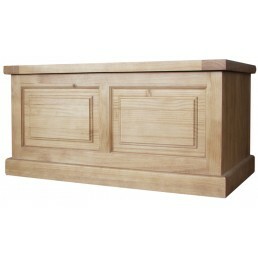 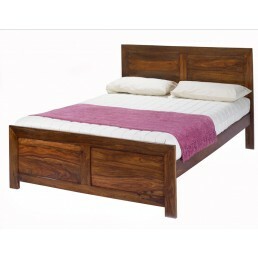 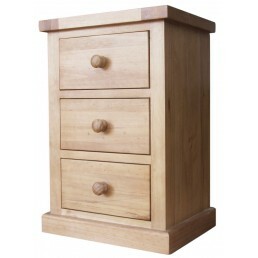 The set..
Quality traditional style, chunky, solid pine furniture built using traditional carpentary techni.. 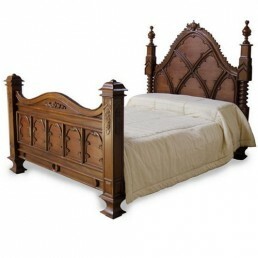 This traditional antique reproduction style colonial four poster bed is hand-built from selected ..
Beautiful and contemporary modern design, hand-crafted from the finest grade selected solid oak w.. 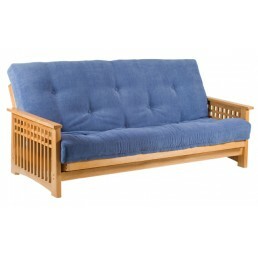 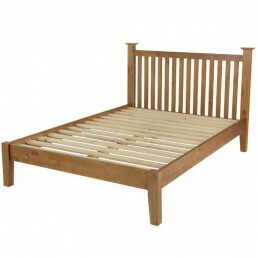 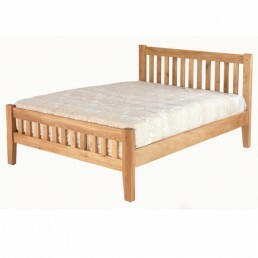 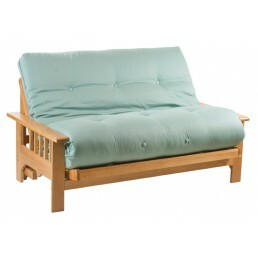 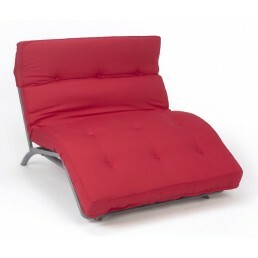 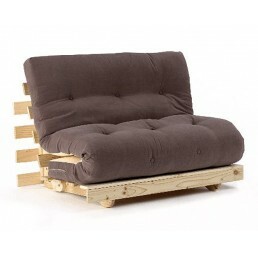 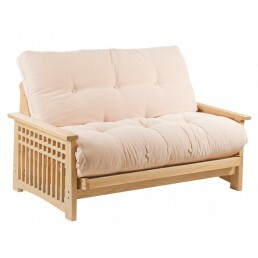 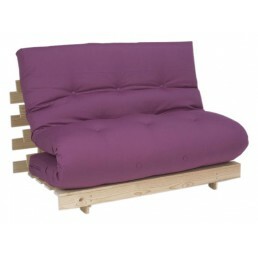 The, UK produced, Darwin futon sofabed has a lifting 'A' frame, providing a comfortable raised, l.. 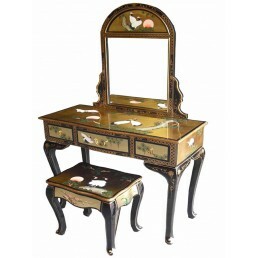 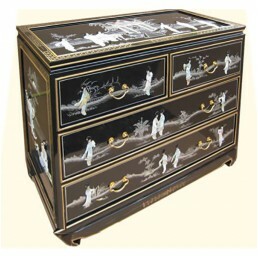 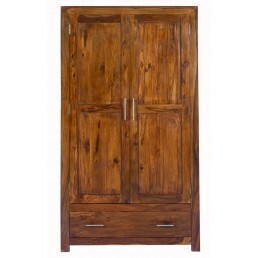 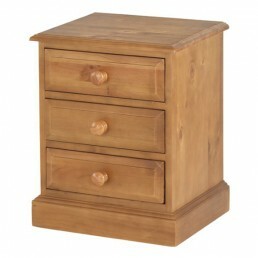 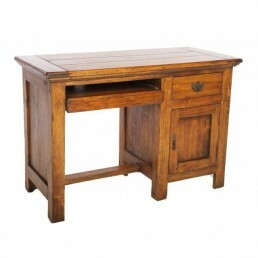 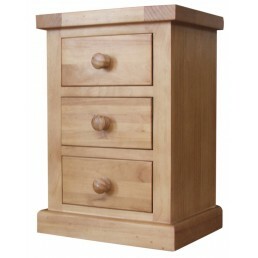 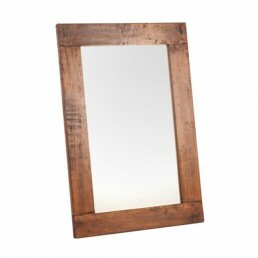 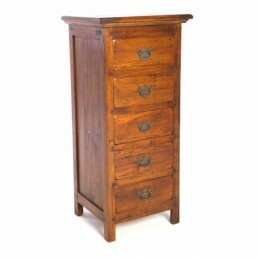 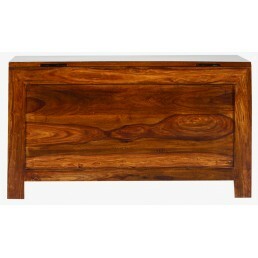 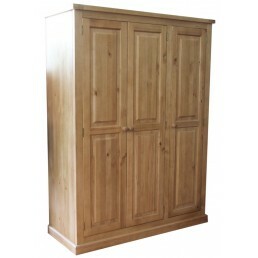 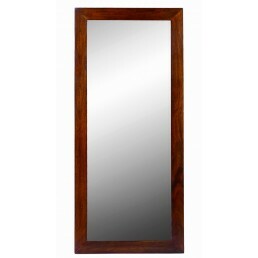 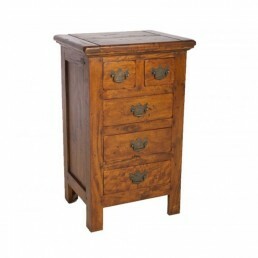 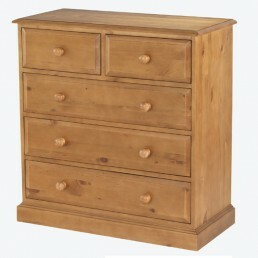 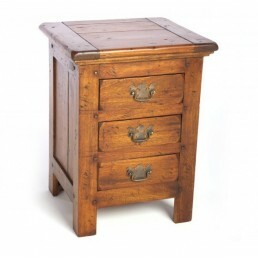 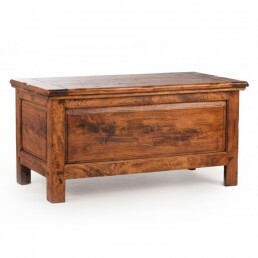 This traditional antique reproduction style furniture is hand-built from selected solid mahogany .. 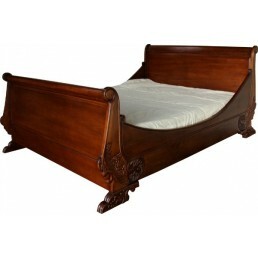 This traditional antique reproduction style French carved sleigh bed is hand-built from selected .. 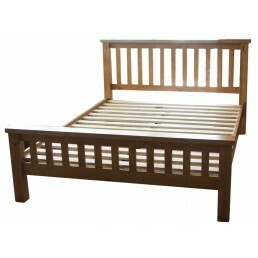 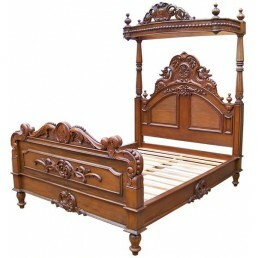 This traditional antique reproduction style half tester mahogany bed is hand-built from selected ..
Quality traditional style solid pine furniture built using traditional carpentary techniques and ..